'found this on a ride today'! I'm always finding stuff on rides, from £5 notes to this. Re: 'found this on a ride today'! 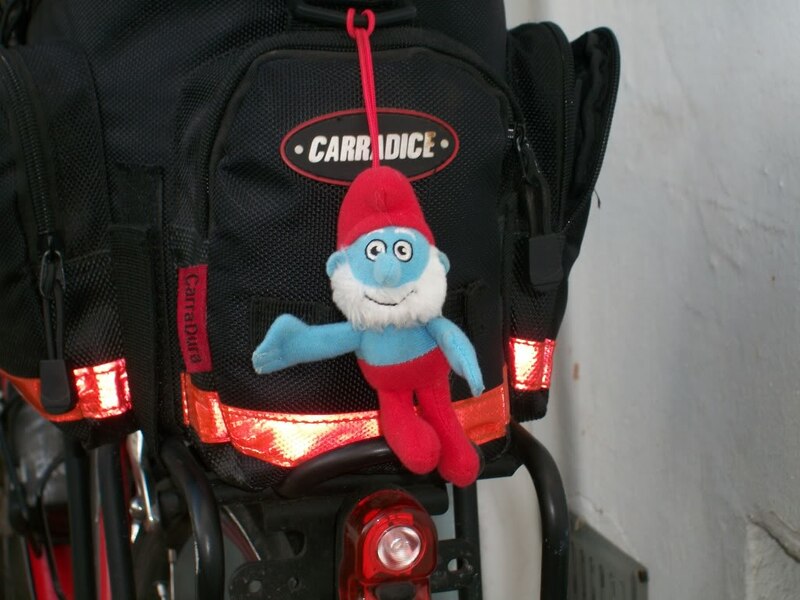 You found a Carradice ? Was it in a Cycle Superhighway? wats one of those! it was in a hedgerow actually, discarded from a hurtling peugot chavmobile I wouldn't wonder. Colloquially known as a 'smurf lane', m'lud. Forgive my lack of colloquialitical knowledge, but why? what have you found recently then? Papa Smurf, Donkey, now you need a Penguin from Madagascar! Brand new, unfortunately for me they were way too small. Riding along on the tandem with my son recently, he mentioned casually, I just saw a £20 note. He didn't sound very excited about it so I thought for a second, then decided not to leave it to chance: sure enough there it was ! 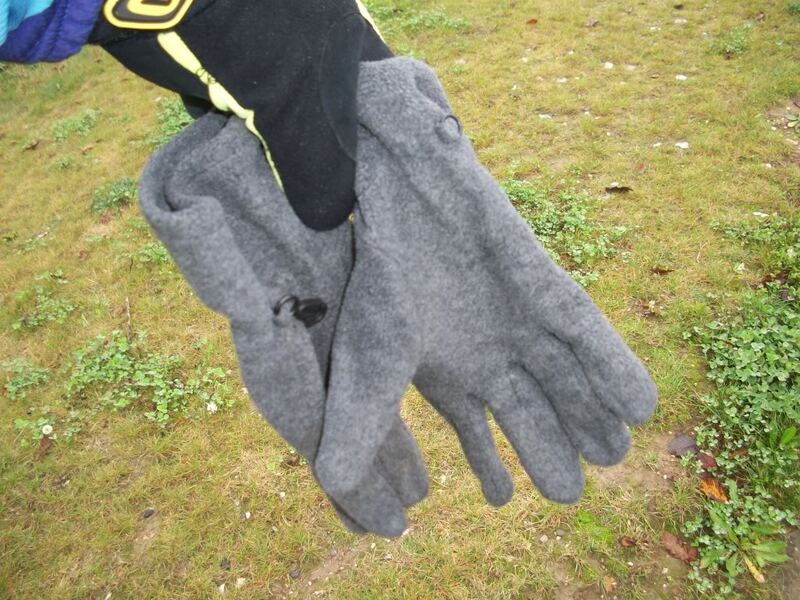 Earlier this summer, while we were out on the tandem, Mrs eck espied a red Speciaized BG track mitt, RH only. So, if anyone finds a LH one, I'm sure we could come to some arrangement. Fell off the bike on the back of a car, presumably. It's Wigan football rattle. You hold the pedal and swing the crank. You get the same wrist exercise as a normal rattle but without waking the team up. 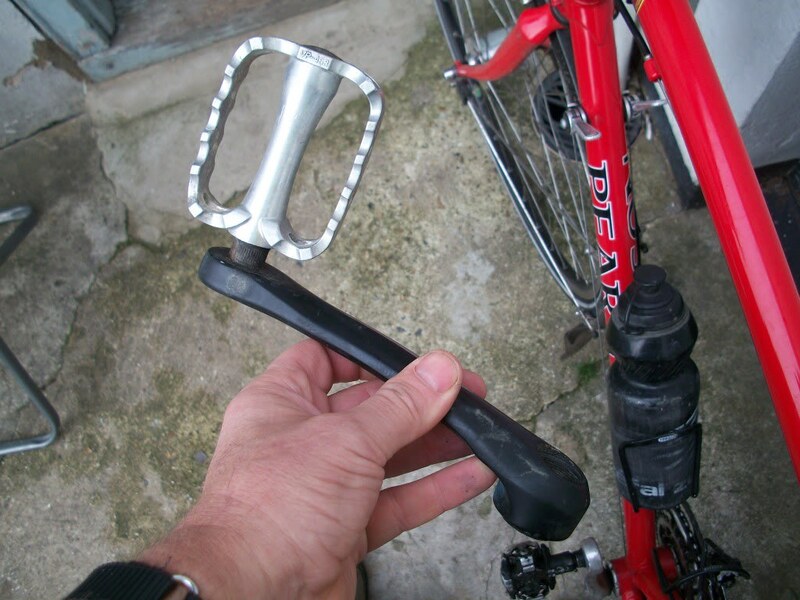 useful for cleaning the ol' velocipede on ones return, what! 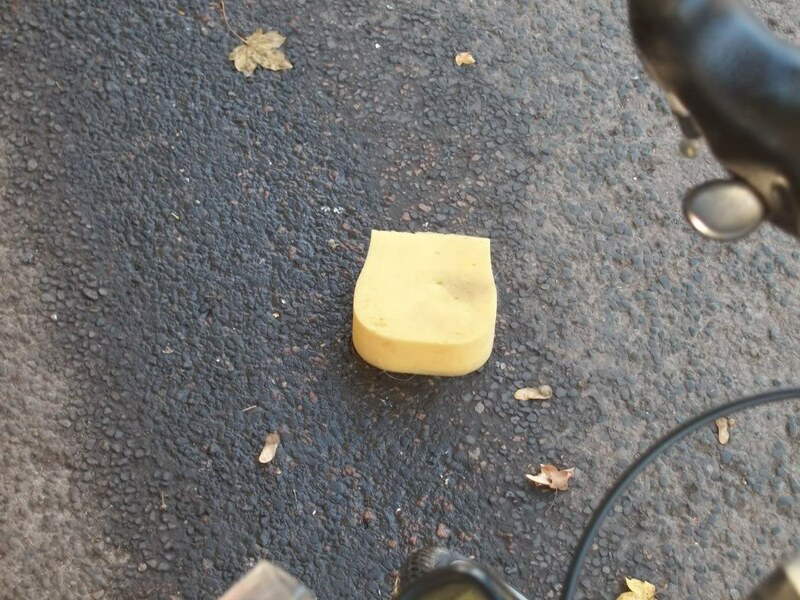 Who the hell discards half a sponge? Someone who only needs the first half? Camping, mate. Travelling light. Remember the Cranes sawed off the handles of their toothbrushes? Remember the Cranes sawed off the handles of their toothbrushes?